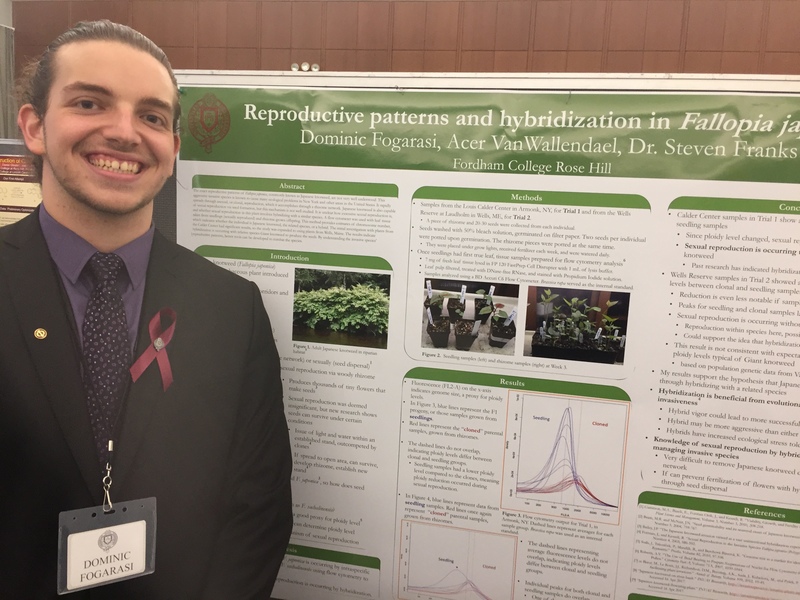 The Honors Program had a strong presence at the Fordham College Rose Hill 2017 Undergraduate Research Symposium. 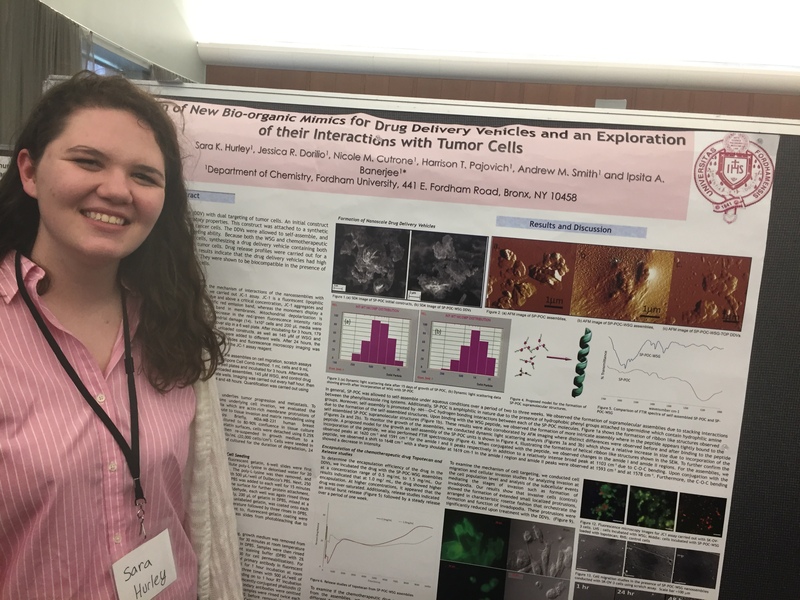 Honors students from sciences, humanities, and social sciences gave oral presentations and presented posters on their research. 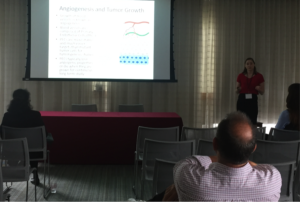 For example, in an oral presentation panel focused on cancer research at Fordham, two of the three presenters were honors students: senior Carolyn Allain (chemistry) and junior Bernadette Haig (physics). Carolyn presented on the angiogenic implications of mutant adenoviral E4ORF1, and Bernadette on innovative Raman spectroscopy for diagnosing head and neck squamous cell carcinoma. Honors students spoke in other oral presentation rooms as well, on topics as various as refugee resettlement in upstate New York, Italian silent cinema, and historical trends in the United Mineworkers of America. Besides oral presentations, there were also poster presentations at the event. Honors students were highly visible here as well. From a project on counter-terrorism through deep learning to drug delivery vehicles for cancer inhibition, honors student research from this past year was both prominent and exciting. 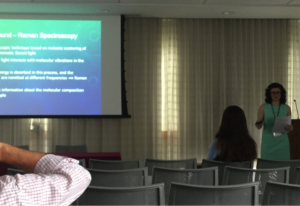 We can’t wait to see what research honors students work on this coming year!